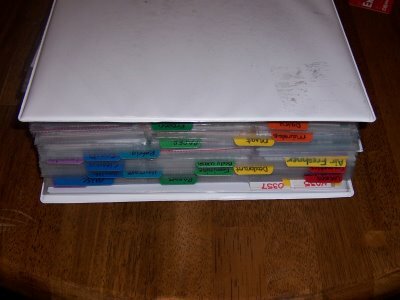 If you remember the 1980’s and 1990’s, you probably also remember the big three ring binder, which held your documents, your process, your tutorials, your project plans, and so on. So the 1990’s were full of big thick binders and undiscoverable information. Not so good. That’s great. I mean, I like my cousin Geoffrey, but I don’t really need to know about his Son’s girlfriend’s sisters birthday party in Waco, Texas. Now, back in the Enterprise, do we have these tools? Oh, no, certainly not. Instead, we’ve got Microsoft Sharepoint. How is sharepoint for discoverability? Microsoft Sharepoint is the roach Motel of Enterprise Software: Documents check in, but they don’t check out. I kid, but there is a grain of truth in that. Sharepoint has every bit of functionality you could possibly want … if only you know how to find it. In real world terms, it’s a library full of three ring binders on the web. That’s not what we need; what we need is a different Metaphor entirely, one not limited by this idea of a card catalog with every book in one physical place. I have been using Sharepoint 2010 for nine months or so at a client site, and it does have a wiki feature; a sort of self-organized set of interconnected web pages that can be edited by anyone. The wiki isn’t great; it handles fonts and special formatting poorly, even in new versions of Internet Explorer. But I have to admit, it is mostly fit for use. Right now, I don’t see a product on the horizon that does this. If you do, please let me know; I know a half-dozen editors who will be interested in it. Otherwise, In two weeks, I’ll be in a plane heading to Las Vegas, Nevada, for the IT Show at Interop. You can probably guess what I will be looking for.